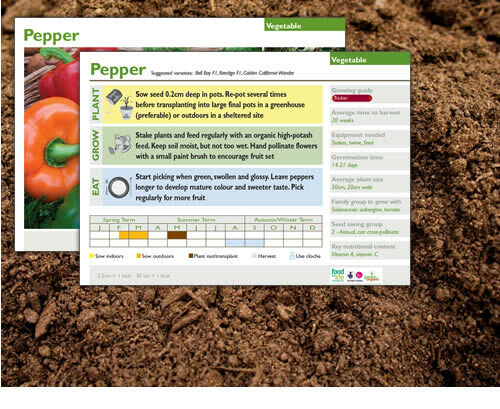 These simple grow your own cards help you get the best from your organic garden. They cover Vegetables, Edible Flowers, Fruit, Herbs and Green Manures. You can view these now using the links provided & download them for future reference. Each card is set out with growing instructions, growing calendar and key facts & figures to improve your growing success. An explanatory Key Card and Glossary are also provided. These useful resources were originally developed in association with Food for Life and supported by Big Lottery Funding and the Sowing New Seeds project.